Now that we know for sure that Samsung will not be unveiling a new flagship device at MWC at the end of the month, the device pictured above has surfaced to confuse the hell out of everyone. Is it a Galaxy SII re-hash? 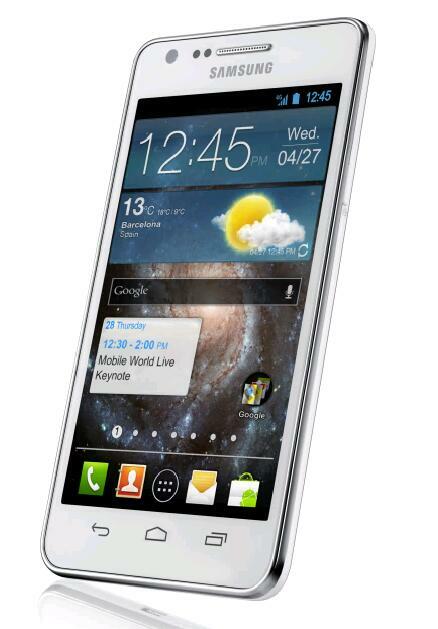 The Galaxy SII Plus that was floating around yesterday? Is it a fake? What we have is a device that looks like all other Samsung devices that were released from within the last year, only the normal navigation buttons have been swapped out to mimic the on-screen keys that we have been introduced to with the Galaxy Nexus. We also can see that the calendar has been updated to mention Sammie’s keynote at MWC. The location on the calendar even says “Barcelona” which is where the event will take place. The device is clearly running Ice Cream Sandwich too. What do you guys think? Re-hash of the Galaxy SII to hold everyone over until the Galaxy SIII is ready or is it a fake? Update: We are all pretty sure that this is a fake, right? Plus, not every app on the planet is built for ICS and does not have the new “action bar.” If you don’t go with on-screen buttons and then remove the menu button from the physicals, you are simply put, screwed.